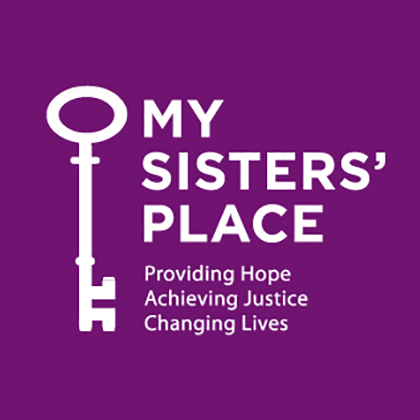 ​Since 1976, My Sisters’ Place (MSP) has worked to end violence in intimate relationships and combat the effects of domestic violence and human trafficking on women, men, and children throughout Westchester County. MSP has evolved from a grassroots task force and drop-in center into a cutting edge leader and resource in the field of domestic violence advocacy, shelter and legal services and education and prevention. Based on the tenet of taking a holistic approach and addressing the root causes of family violence, MSP is continually expanding in order to effectively respond to the increasing and changing needs of individuals in crisis. MSP’s mission is to engage each member of society in our work to end domestic violence, so that all relationships can embrace the principles of respect, equality, and peacefulness. ​Founded in 1949, William Pitt and Julia B. Fee Sotheby’s International Realty manages a $4.2 billion-plus portfolio with more than 1,000 sales associates in 27 brokerages spanning Connecticut, Massachusetts, and Westchester County, New York. William Pitt Sotheby’s International Realty, combined with partner firm Julia B. Fee Sotheby’s International Realty, is the largest Sotheby’s International Realty® affiliate globally, the third-fastest-growing real estate company nationally, and the 31st-largest real estate company by sales volume in the United States. A full-service real estate firm headquartered in Stamford, Connecticut, William Pitt and Julia B. Fee Sotheby’s International Realty provides ancillary services including commercial services through its affiliation with Building and Land Technology, a second-generation development company based in Stamford, Connecticut; William Pitt Insurance Services; and an award-winning global relocation division. For more information, visit the website at williampitt.com. Sotheby’s International Realty’s worldwide network includes 950 offices throughout the United States and 70 other countries and territories.